An unexpectedly beautiful Saturday afternoon today in Rome. There was nothing to be done but go for an afternoon passagata around to some of the better-known churches in Rome. Just across the street from Santa Susanna is Santa Maria della Vittoria, best known for Bernini’s sculpture of St. Teresa in Ecstasy, which he completed in 1652. The church itself is quintessential Baroque, overwhelming the senses. Built as a chapel for the Carmelites, it is currently the titular church of Cardinal Sean O’Malley of Boston. We also wanted to go in for a more casual perusal of Santa Susanna, but it was closed for the day. 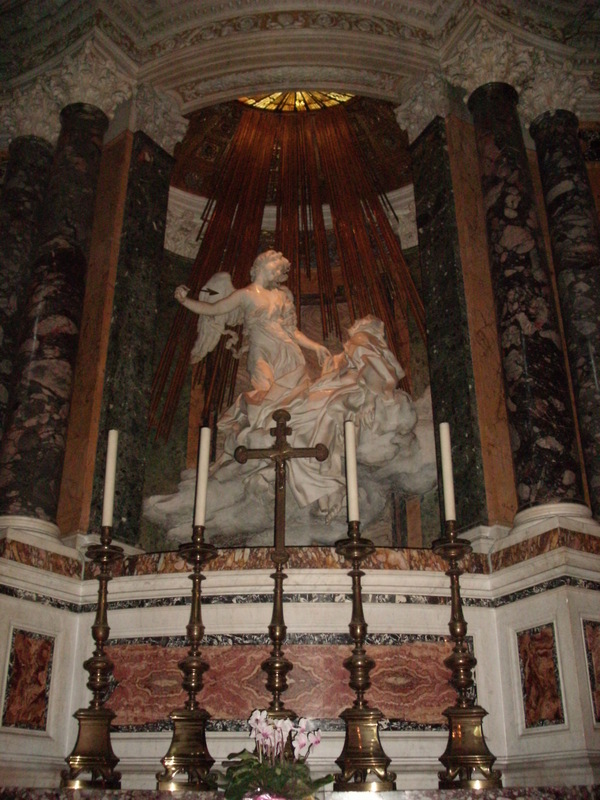 Likewise, San Pietro in Vincoli (Saint Peter in Chains) which we stopped at on our way from the Lay Centre. It is easy to forget about that three hour lunch break sometimes. 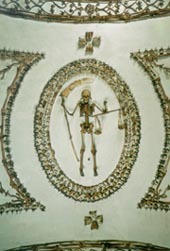 Not far from Susanna and Maria della Vittoria, on the pricey Via Veneto, is the church of Santa Maria della Concezione dei Cappuccini (St. Mary of the Conception of the Capuchins), the ossuary of which is generally known as the Capuchin Crypt. 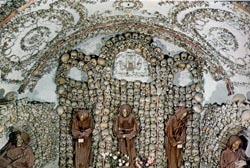 Famously macabre, the crypt is six rooms decorated almost entirely with the mortal remains of about 4000 Capuchin friars who died between the 16th and 19th century. By A.J. 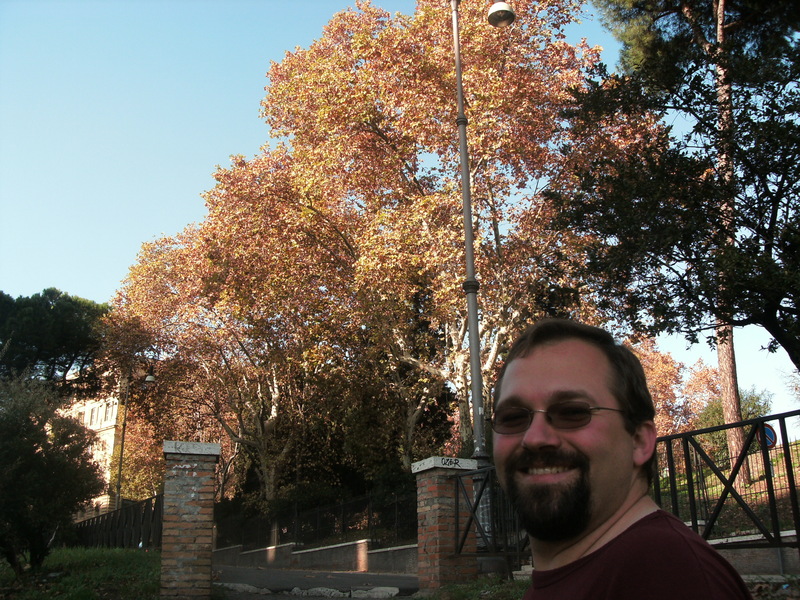 Boyd in La vita Roma on November 28, 2009 .